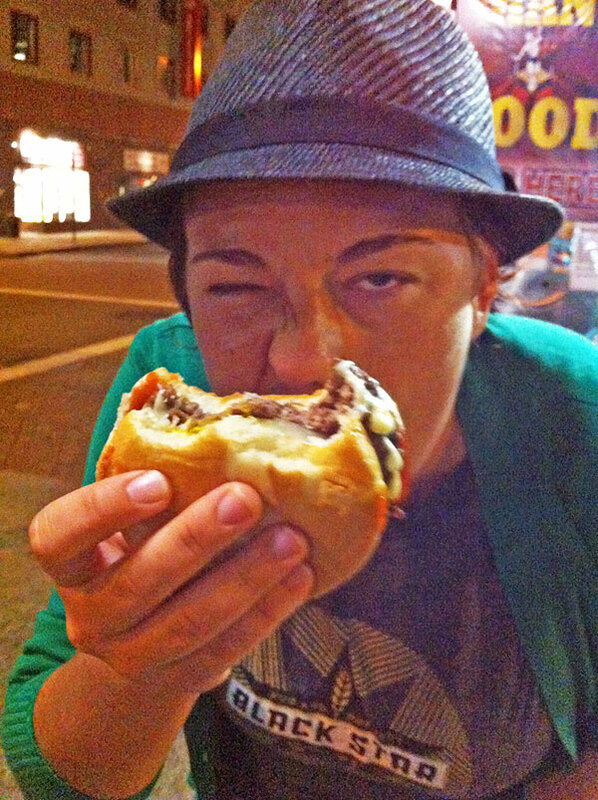 Maria, from The Roaming Pint, sampling the Haven Brother’s Food Truck in Providence. Tip: It’s best late and while intoxicated. 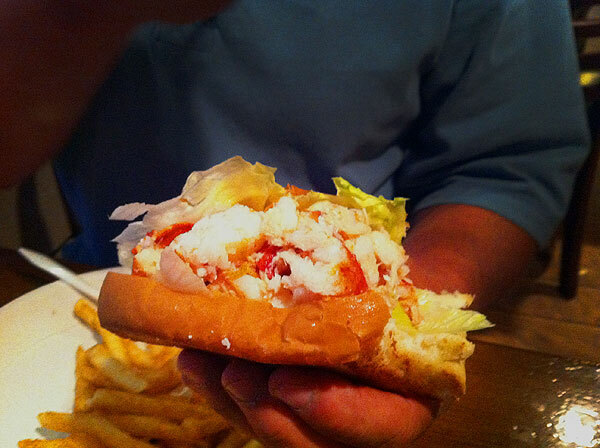 Paul, a 2nd generation R.I. local, eating at Flo’s Clam Shack for the first time.. evah! 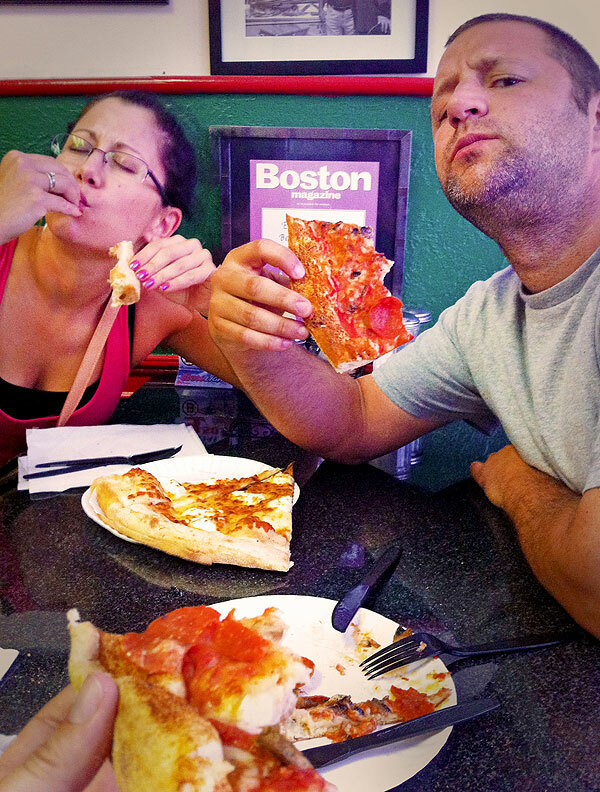 However, after hanging out with true Rhode Islanders, you’ll quickly realize a slice of Pizza is the Real Favorite food of the locals. Err, should I say, Petezer? Now, don’t get us wrong. 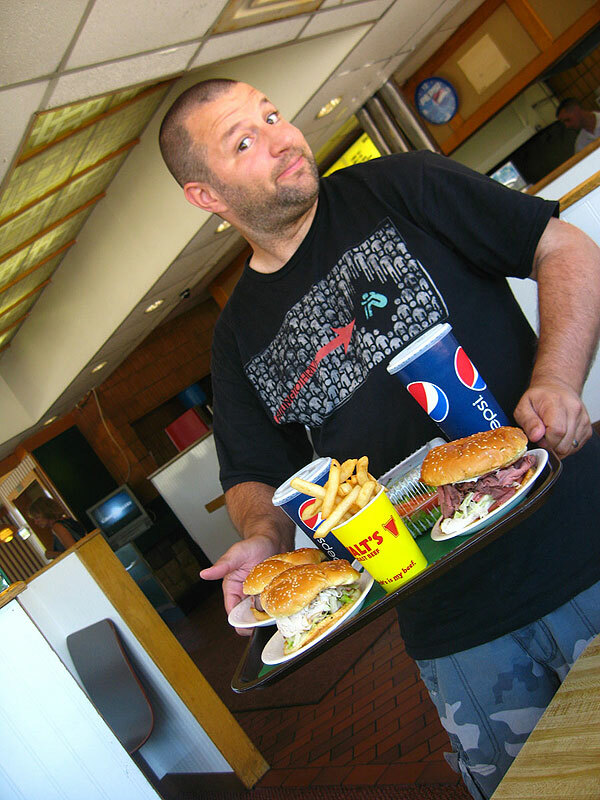 Dennis, a born and bred Rhode Islander, still loves his Del’s Lemonade, a bloody Walt’s Roast Beef sandwich, and his coffee milk. For me, I’m sorta smitten on the N.Y. System Wieners and Rhode Island’s clear broth chowder. Oddly enough, we’ve actually ran into plenty of locals that don’t eat seafood, never tried a system wiener and vaguely remember Walt’s from when they were a kid. Uhm? Showing friends Debby and Bill this Rhody “must try,” A real Dell’s Lemonade! You won’t forget your experience for days after consuming a N.Y. System Wiener. Who’s in for a late night “gaggah” and a side of coffee milk? Hardly a week would pass while we were in little Rhody, that pizza wasn’t consumed. Grilled, baked, delivered, take out or by the slice– whatever the occasion, pizza was the answer. It’s a bit like being in NYC, but true to Rhody form, not many people have stopped here long enough to notice. We did get the chance and this little state is a true pie contender. 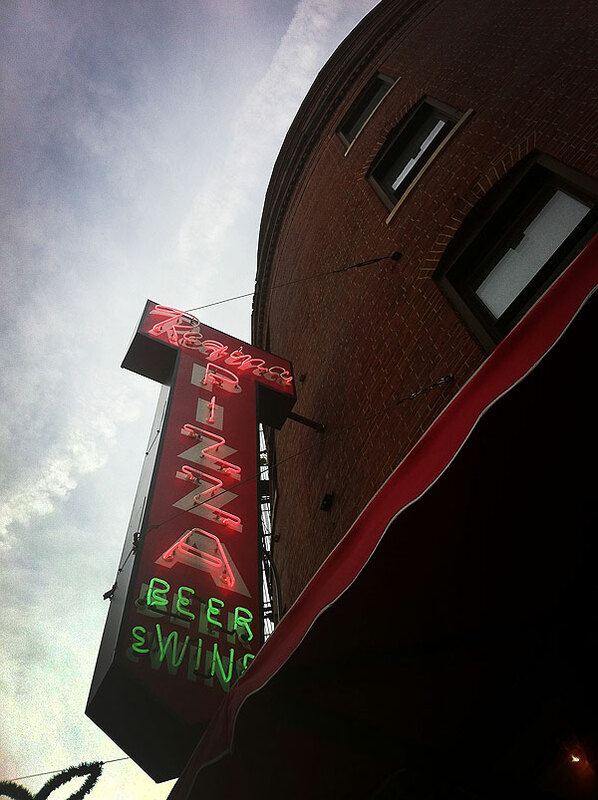 From Providence’s Federal Hill to Boston’s North End, you’ll be hard pressed to find a bad slice. The “favorite” spots seem to really just be the whatever they grew up with. It’s pizza, how can you screw it up? 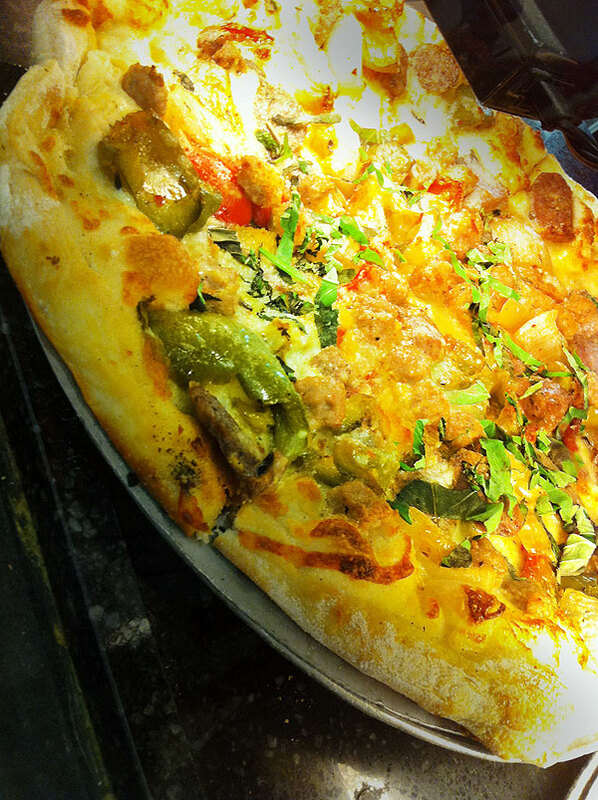 You’ll find every variation from clam topped to the traditional sausage or pepperoni. Now, if you want a uniquely local, Rhode Island style pizza, look for pizza strips. 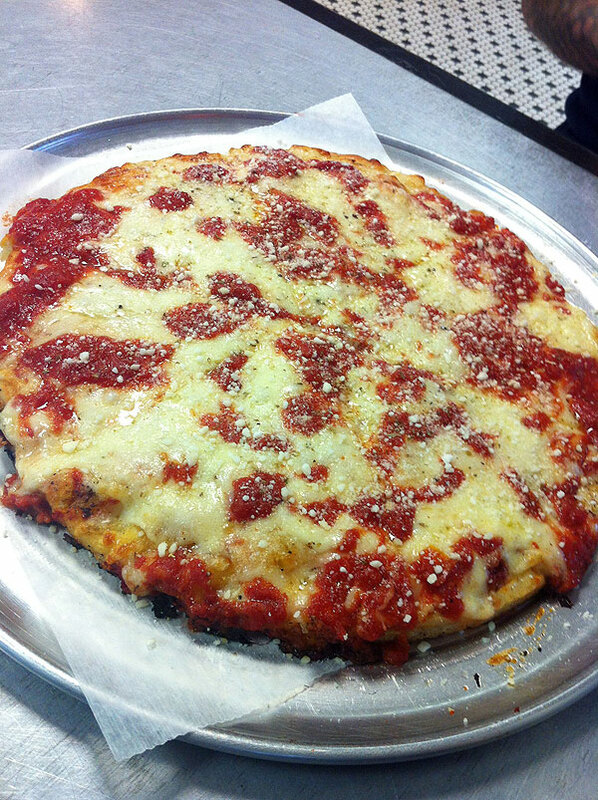 A cheese-less, often cold, square, tomato pie. Pastryland in Smithfield serves up some great Tomato Pies! We drove then ate. Ate then drove. 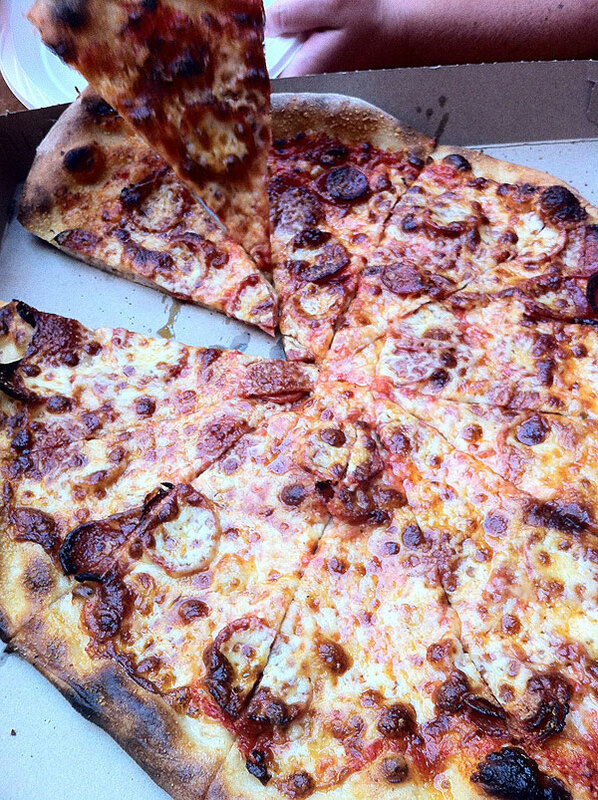 Here are the Pizza joints we hit while in Rhode Island. Yes, Boston counts! Of course, some listed we visited quite often. Most of the time we dined with family and friends, and almost always we found ourselves accompanied by sister, petezer lovah, Kate. 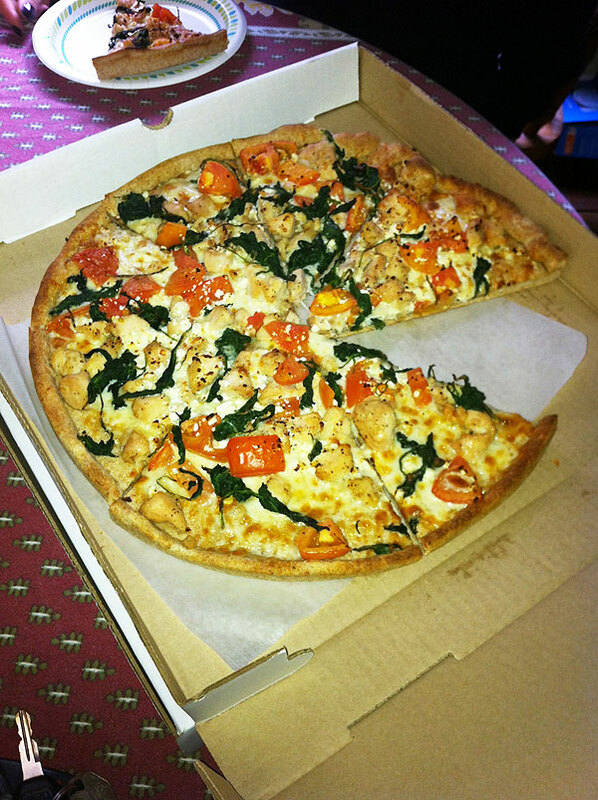 Nobody turns down pizza! Take out from Mama Leone’s. 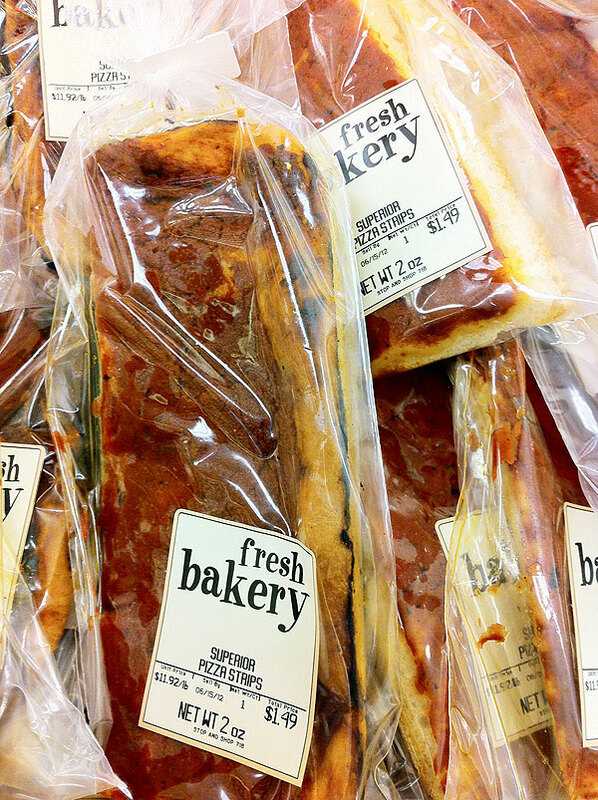 Best Tomato Pies, to go or eat in. Enjoy the bakery and bar! Local ingredients, local beer, great atmosphere, on the beach. A win-win! Classic, family ran, greasy-crispy crust. Classic pizza. Keep it simple. Walk the hill after. Nice! 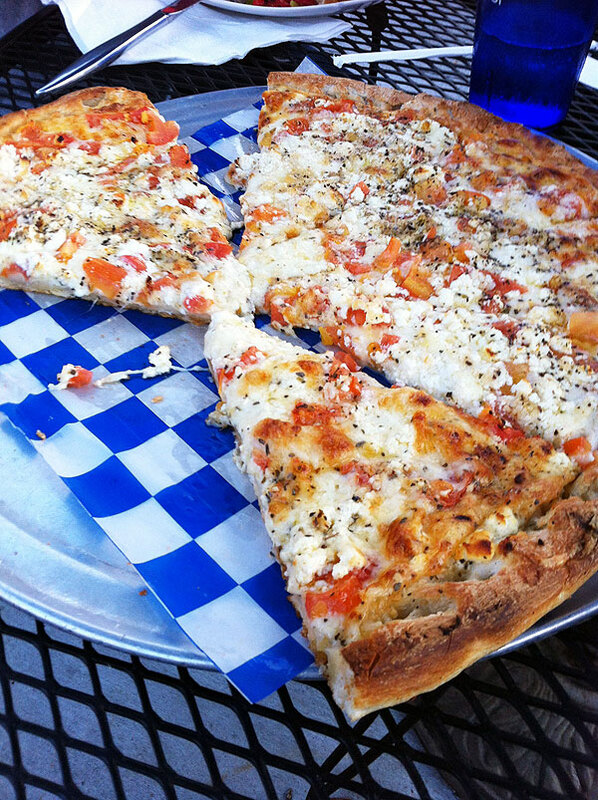 A mix of greek and italian zest makes this a good stop while in East Greenwich. Damn good. Thin and well done. 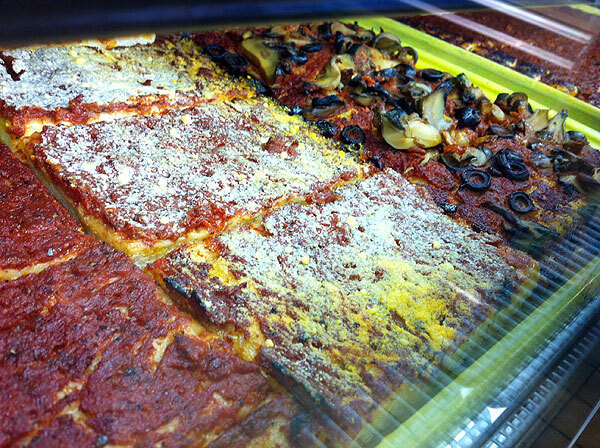 If you’re grabbing a slice, hit the Faneuil Hall Marketplace and avoid the line at the North End. A hole in the wall sorta place with good pie. Cheddar Cheese is a regular pizza topping choice around these parts. We must agree, it is a smart addition. Cheddar makes everything better… even Pizza. 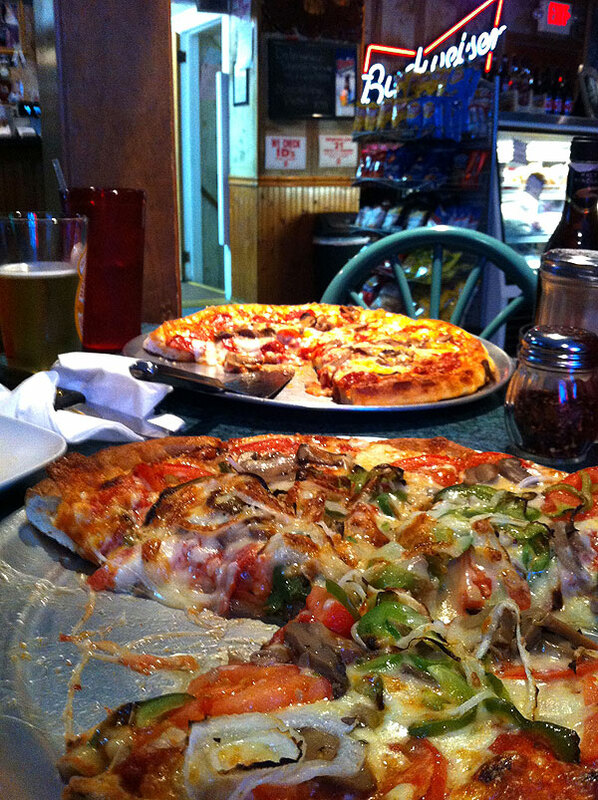 What’s the best LOCAL topping where you’re at?